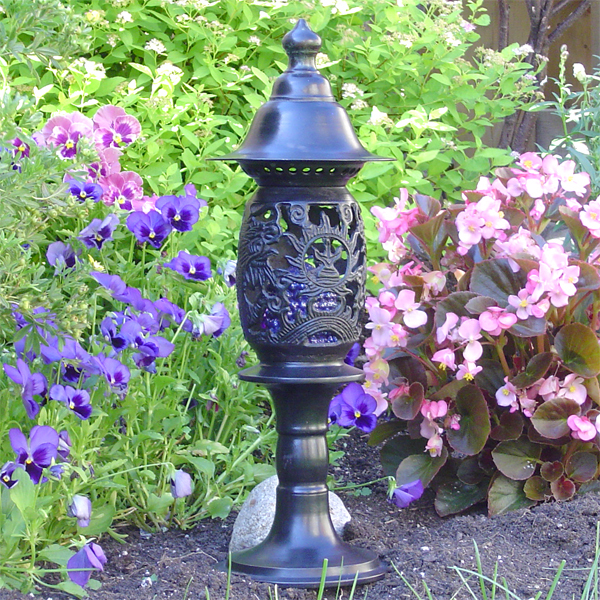 Open work dragon design garden lanterns are another popular item. The former Governor of Hong Kong as well as the Prince of Wales (Garden at Highgrove) have purchased these exact lanterns in the large size from the showroom in Hong Kong. The lanterns can be disassembled to allow easy placement of a candle. These are very popular for use with citronella candles to ward off mosquitos also. The lanterns will be a stunning addition indoors as well as outdoors and are elegent with or without being lit. Lanterns can be wired by your local electrician if desired. 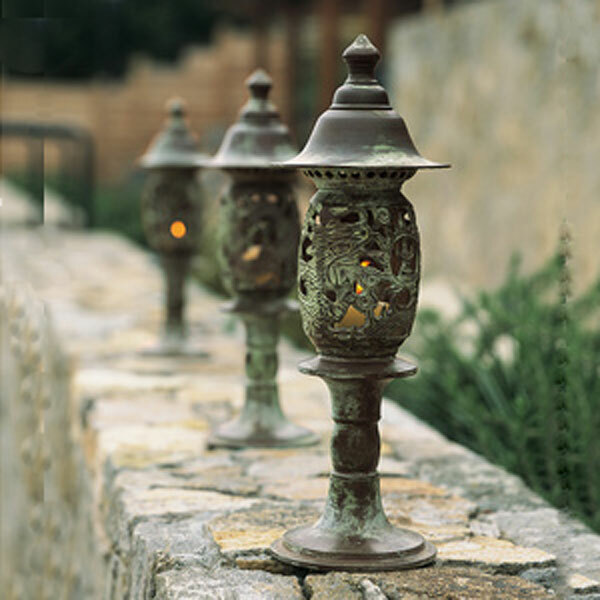 The garden lanterns are hand made and constructed of heavy walled brass that is sand casted and hand worked. They can be ordered with an oxidized brass to yield a natural green coloured patina or a high gloss blackened finish. Also available in a small size.